Hop onboard for some exciting news about our Summer Food Program! Each summer our district provides free breakfast and lunch services for youth up to age 18 from mid-June until early August at the Brookings-Harbor High School cafeteria. Recently, our school district applied for and won a $20,000 Summer Meal Program Start-Up and Expansion Grant from the Oregon Department of Educations’ Child Nutrition Programs! Starting next summer, this new grant will enable us to bring the Summer Food Program to even more youth in need in our Brookings-Harbor community and surrounding rural neighborhoods. Brookings-Harbor School District plans to use the grant funds to retrofit a full-size school bus into a meal delivery vehicle and a dining car that will make daily stops in neighborhoods across our community. 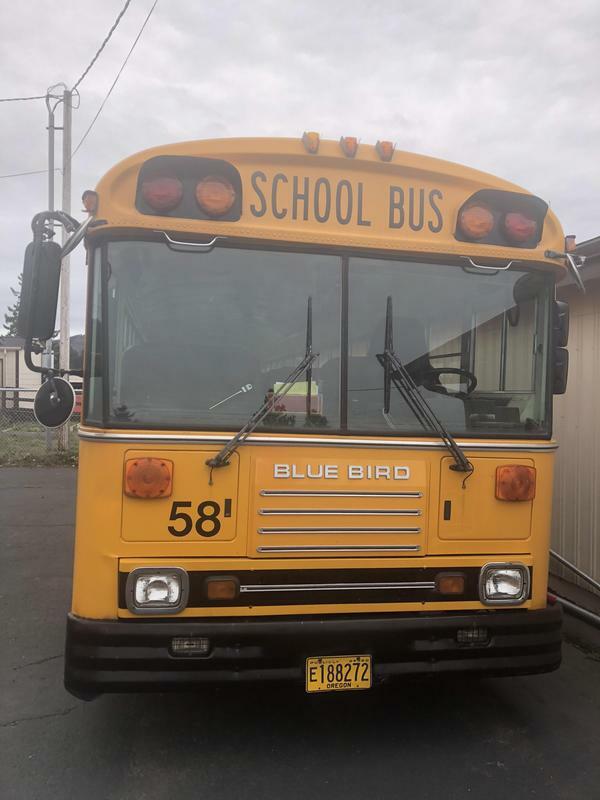 The bus will provide a fun, high-visibility way to provide lunches to young people in need in our community and fuel summer adventures and learning. In addition to expanding the geographic reach of our program, the grant will also provide funding for additional enrichment activities for participants at the school site, where we will provide hands-on opportunities to learn about gardens, food, and nutrition through a partnership with “Ag in the Classroom.” Our Youth Transition Program summer staff are taking the lead in planning these activities. We look forward to sharing more about these exciting developments for the free Summer Food Program soon and will be asking the community for input on specific meal sites, as well as providing the opportunity to enter a contest to help name and decorate the bus. Student and community volunteers can help with various stages of the bus overhaul and design. For more information or to get involved, please contact Food Service Supervisor Cindy Badger at 541-469-2108 ext. 4021 or cindyba@brookings.k12.or.us. We believe “Every Student Can Succeed” and we are excited to bring additional resources to the community to help our students thrive year-round.